It’s an honor and privilege to announce that I am exhibiting new work at InkSplash 2016, Rockaway Artists Alliances’ annual, invitation-only printmaking exhibition, themed “Printmaking in a Changing World”, from October 22 – November 13th, 2016. InkSplash 2016 will feature a wide variety of original printed works: intaglio, mono print, relief, solar-plate etching, aqua tint, photo transfers and experimental techniques celebrating the fine art of printmaking in a changing world. 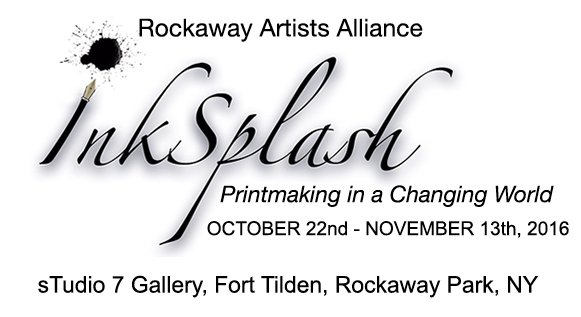 I will be attending the opening reception of InkSplash 2016, where I will have the opportunity to meet the other exhibiting artists and engage with the local artist community of Rockaway. 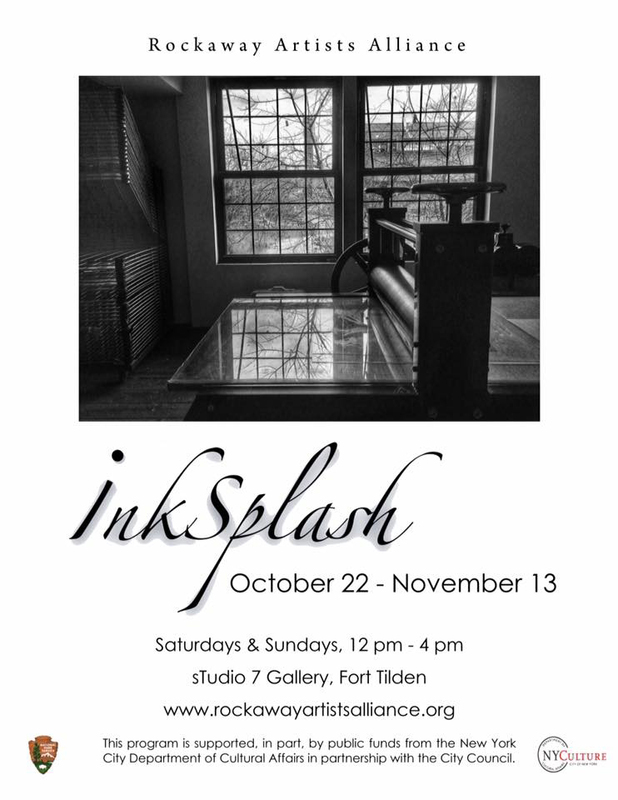 Other artists included in InkSplash 2016 are Carolyn Antonucci-Almeida, Victoria Barber, Kathy Caraccio, Faith Edeson, Jason Novetsky, Brendan Patrick, Renee Radenberg, Carmen Frank, Willa Mae Gilbert, Elizabeth Harington, Neddi Heller, Christian Le Gars, Luanda Lozano, Esther Grillo, Deena des Rioux, John Grillo, Melissa Rubin, Onnie Strother, Susan Rostow, Dan Welden, and Wendy Stefanelli.